Depending on where you’re moving to in Australia, the demand for rental properties can be high. You can face competition whether you’re looking for a room in a house share or a property through a real estate agent. So it’s ideal that you be organised, introduce yourself early and arm yourself with references. We’ve talked about securing your dream property, but what about all the paperwork? You should have prepared and gather your information before you start viewing properties. This will allow you to act quickly when you find your next home. You’ll definitely need your identification, proof of income, references, CV and proof of employment, rental history and rental cover letter ready to go. Maybe you just saw an unbelievable property go up online and your eyes immediately lit up. You try to contact the estate agent but something they said, or potentially didn’t say, sent your Spidey sense tingling. While entering into a lease agreement is an exciting life event for you, to them this is purely business. It is important to know who you are entering into this business agreement with and try to take a practical approach. You can do this by reading reviews of your estate agents on websites like RateMyAgent. Being aware that your estate agent’s capability is particularly important if they will be managing your property. If your plumbing goes on the frits, you want to be confident you will get a quick and effective response from your agent. Keeping a mutually respectful relationship consistent throughout the duration of your tenancy will make for a much easier life than having to regularly battle with your landlord over household matters. There are a number of steps you can take to ensure the relationship is held up from your end, like communicating effectively, being patient but persistent and respecting your agreement. Before you move it is important to be realistic about the essential costs when setting up your home. Not only do you need to consider your bond, rent and utilities; but you also need to factor in removalists, furniture, accessories, living expenses, emergency savings and time off work to move. Being disorganised on moving day can lead to adverse financial and emotional consequences. To make this a smooth experience Sunshine Loans have created free printable moving box labels for your added convenience. On moving day your brain will likely be buzzing with to-dos. 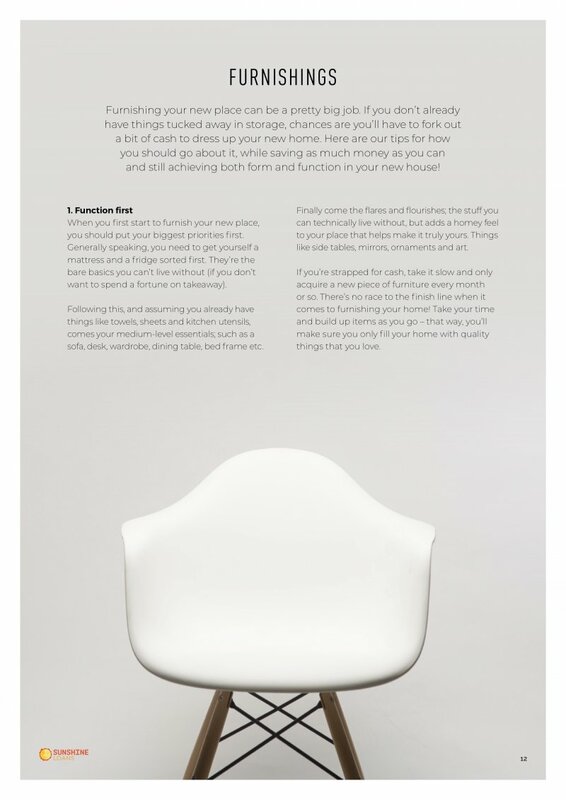 The best way of handling this chaos is to have your moving house checklist on hand. 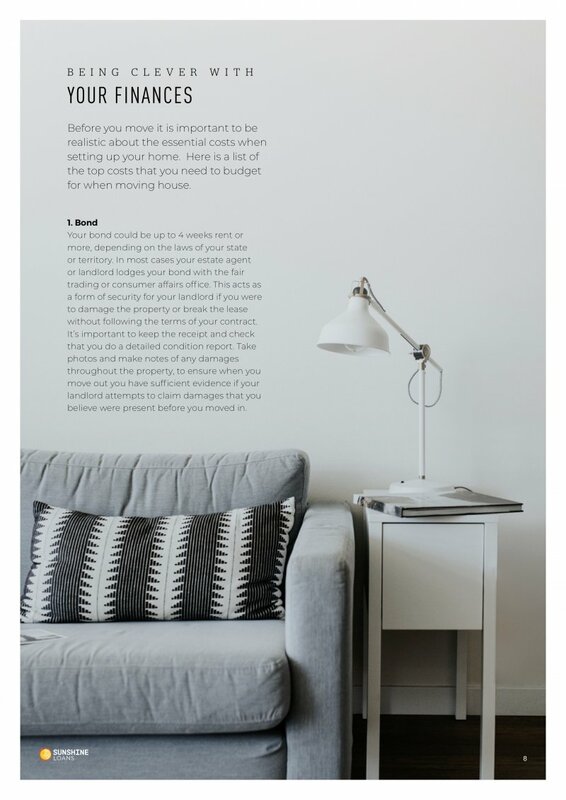 Luckily, we’ve created a free downloadable detailed checklist to help you stay organised!